Send your hen off in style with an international party! The hen party is a magical tradition… It’s a last chance to have a great time before she gets to marry the man of her dreams, a last big hoorah, a great big…..well, you get the point. Here at Travel Bar, we’ve picked out nine of the best activities you can have in your hen do! Especially in a city like Spain, known for its wines and tapas, a relaxing afternoon tasting wines and cheeses with the girls is a great way to, well, get things warmed up, don’t you think? For our favorite wine tasting and fine cheese experience, click here. What better excuse to make tapas and paella and drink sangria all night. A Spanish paella cooking class is one of our most popular hen weekend activities — and for good reason. 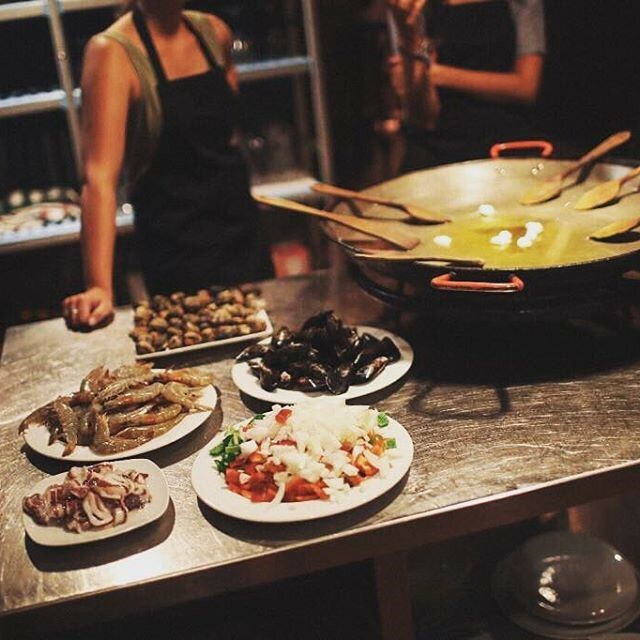 Our local guide will take you shopping for fresh ingredients in La Boquería market (the most famous market in Barcelona) and then to a private kitchen, where you and your girls will cook and eat the evening away, preparing and eating fresh, traditional Spanish tapas and seafood paella. Oh, and did we mention the unlimited sangria? Interested? We’d love to take you on our private paella cooking experience. 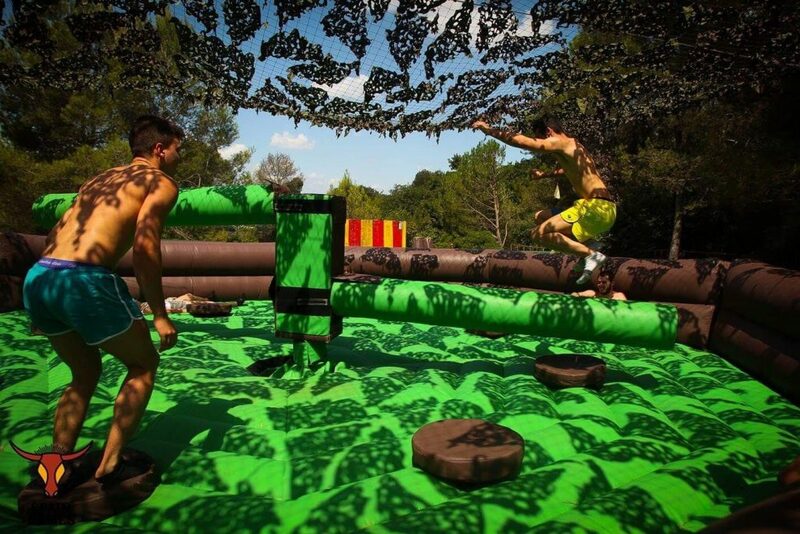 Our next suggestion is for those with some time for some fun and adventure, so get ready…. 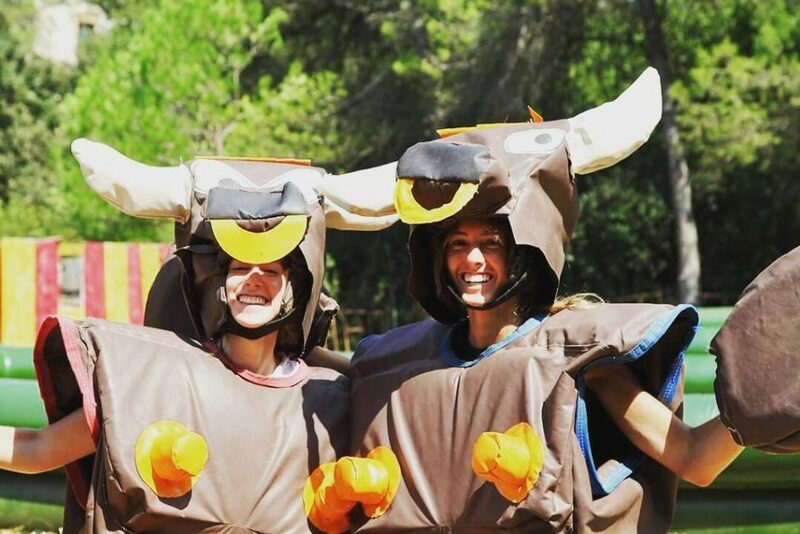 The way for your hen party to be truly unforgettable is with sumo suit fighting, a giant slide, a wipeout machine and battles on podiums in swimming pools! (among other games). This wild two hours — designed by the greatest minds in the city — includes not only games, but also a break for snacks and drinks. For more information on this wild ride, check out our Spain Games page. 4. An Arabic spa, that is. Everything about relaxing with Arab Baths in Barcelona: getting a massage while pre-wedding stresses float away, but with your girls, and in a classical Arabic-style spa in Barcelona. ‘Nuff said. Here is our favorite Arabic Spa package. And once you’re all nice and rejuvenated, get the evening started! Cocktail mixing is definitely a skill you should practice at your hen party. And if some of the cocktails disappear along the way, well…. Check out our cocktail class here. 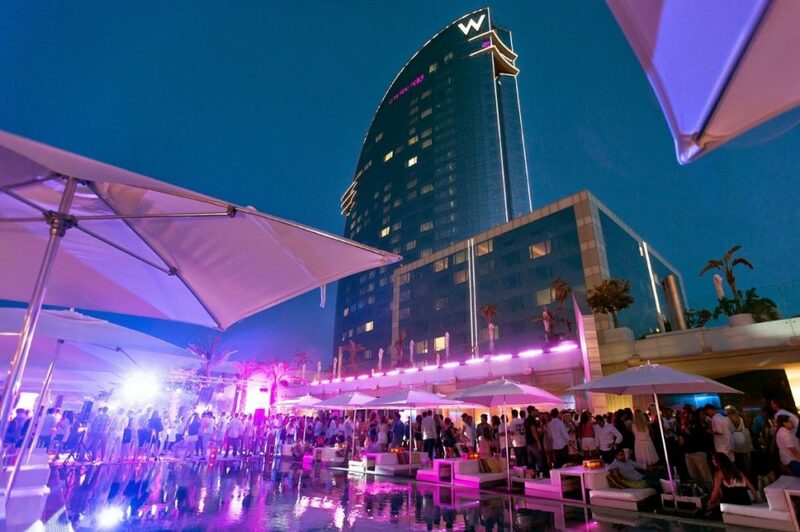 If you’re going to explore one of the most exciting cities in Europe to party, why not let some locals arrange a big night out in Barcelona’s most classic clubs? Make sure that you get to to some of the classic haunts of Barcelona’s gothic quarter on your way! Check out our best night tour here. Barcelona really is an exceptional city, but you can explore it later. For now, check out some of the incredible views from the beach while playing some games with your girls! And when you’ve got some relaxation in, come play beach games with us! At Travel Bar we have a morning or an afternoon beach party with volleyball, rounders, music, boules and more! And if that’s not enough it’ll all led by a couple of local hotties who will bring some complimentary drinks, too! Check out our beach games page here! What does the hen party of your dreams feature? To sail on a yacht, of course. 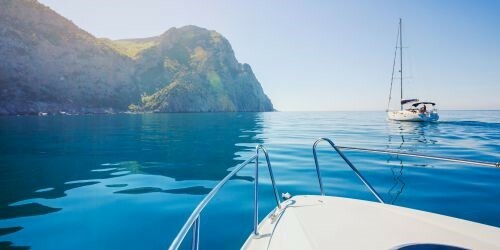 The easiest way for two hours on a yacht to be a part of your hen party is just to click here. As if this hen party weren’t enough of a party already, get the chance to learn about and taste different varieties of one of the world’s most popular spirits, Gin. Here’s a link to our two-hour gin tasting experience. 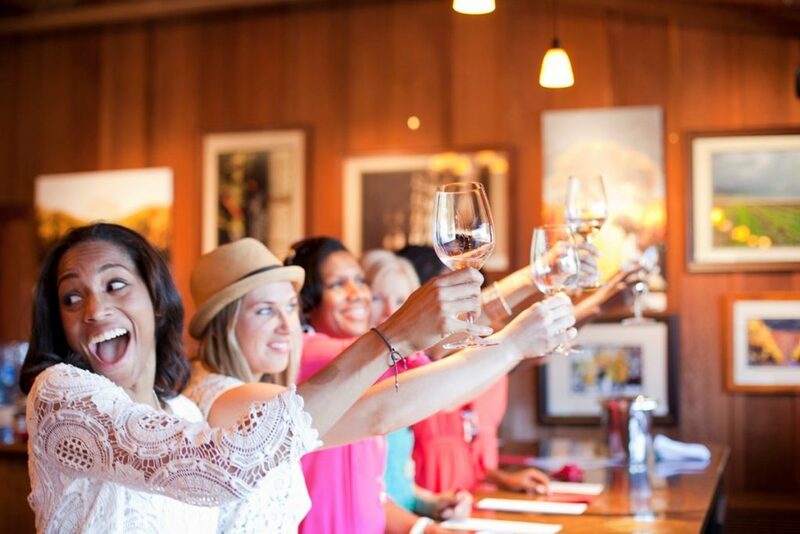 Now that you’ve gotten some tips for hen party activities, you can rest assured that her hen do is going to be unforgettable. Here at Travel Bar, we’re committed to ensuring that you have an enjoyable, quality experience in Barcelona. Her wedding is going to be incredible, but in the meantime, let’s make it an unforgettable send off! To look at more of our hen packages and activities, check out www.travelbar.com today!